As the new school year looms ever closer, there comes a time when we have to start getting everyone in the family ready for the changes that are coming. No more relaxed schedules and lazy days. Now it’s up at the crack of dawn, if not earlier almost every day of the week for something or other. There’s a never ending ever changing schedule for us adapt to on a daily basis, and it starts long before the school year begins. There are many different facets to getting your kids ready for school each year as the thing they need will change from year to year. So here are some basic guidelines to help you help them be ready to go. Clothes: We all know that kids grow like weeds. so check the closets and make sure your not sending them in as fodder with clothes that they have outgrown that are ill fitting. Also check the schools dress code to make sure everything is to spec. Warm Up The Brain: The most important thing to getting your kids ready is to warm up and stretch out that noggin. Giving them some early reading assignments that are fun before the school year starts up is the perfect way to fire up the learning machine. 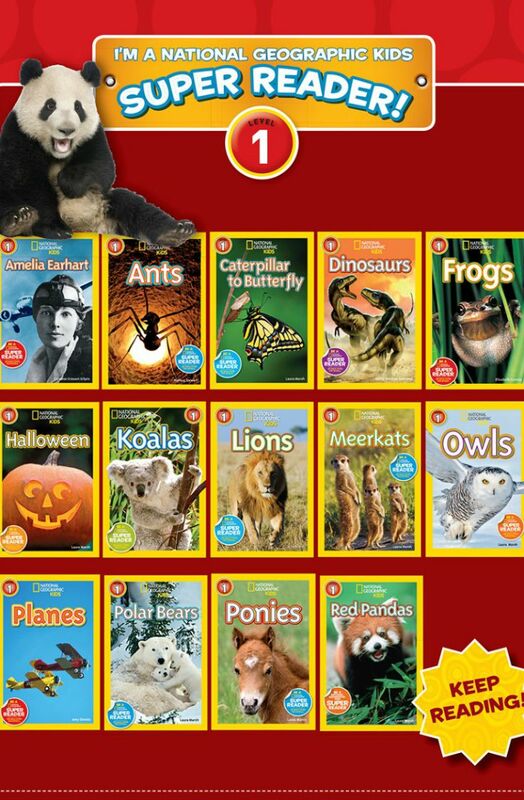 National Geographic Kids has a wide line of great reading materials for all ages and reading levels. Easy to read formats tailored to each age group paired with stunning photography on subjects that are sure to get them excited to hit the books to keep on learning. Look & Learn Series (ages 2-5, $6.99 each) – Even when their backpacks are almost as big as they are, reading together is critical for developing a lifelong love of books. Explore My World series (ages 3-7, $4.99 each) – These engaging Explore My World picture books on subjects kids care about combine simple stories with unforgettable photography. They invite little kids to take their first big steps toward understanding the world around them and are just the thing to curl up with together and read aloud. NG Readers series (ages 5-8, $3.99 each) — Each book in the best selling National Geographic Readers series is written in an easy-to-read format and falls into one of five reading levels and is labeled by level on its front cover. Chapters series (ages 7-10, $5.99 each) — This chapter book series picks up where the Readers series leaves off. What’s your biggest challenge in getting your kids ready to go back to school? No kids so I just have to get myself ready. I do as much as I can the night before. My biggest BTS challenge with dd is getting her back on a schedule and getting her up early again!